Love Right is an affordable, full-service, domestic referral agency specializing in the creation of on-going personalized relationships between talented homecare professionals and senior citizens in need. With nearly two decades of caregiving experience, founders Will and Jessica Hawk are dedicated to streamlining non-medical in-home care services by providing a platform where seniors (and independent professional caregivers) choose who, where, when and how they receive the care they need, with the least amount of financial burden. Love Right Builds Relationships. Whether you need care on an hourly, daily, or full-time basis, Love Right can help with compassionate, personalized in-home care. We pride ourselves in matching independent professional caregivers with people in need, and building on-going resources that serve as a foundation for an individual’s well-being. From temporary assistance for rehabilitation efforts or illness, to long-term care and Hospice, Love Right has the solution that will meet your need and your budget. Helping seniors, disabled and chronically ill patients maintain independence in their own environment is a proven method of optimizing a person’s wellbeing. Caregivers registered with Love Right provide an array of home care specialties including personalized skilled-care to address advanced stages of cancer, dementia, Alzheimer’s and other debilitating or non-ambulatory conditions. Love Right verifies each referred Independent Caregiver has previous training and experienced in providing care for most age-related diseases. All services can be adjusted to form-fit anyone’s specific health needs. Based on skill, experience, geographic location and many other details, Love Right’s matching algorithm narrows 100’s of candidates down to just a few. At Love Right, we understand the difficulty of bringing a stranger into your home, even if that person is a qualified professional caregiver. That’s why our professional caregivers are thoroughly vetted through extensive background checks, interviews, drug screenings, verifiable references and research. More than 60 percent of our professionals come from medical schools, and hospitals. All of our professionals have at least two years of verifiable experience in the field of elderly care, and/or one year experience as a licensed CAN or HHA. Love Right maintains a database of qualified professional caregivers and utilizes a proprietary algorithm to match skillsets and mindsets to specific patients. Will started caregiving at the age of 10. Though he’s gained work experience in many different industries since then (Branding, Art, Construction, Restaurants, etc. ), Helping Seniors and Adults in need, continues to be what he considers his “Truest Calling.” Caregiving, as explained by Will, is “a natural order in most other cultures, people raised to manage care needs within the whole family unit to closely rely on each other.” It’s how he was raised to operate, and wants to help create this for local families lacking that support system. 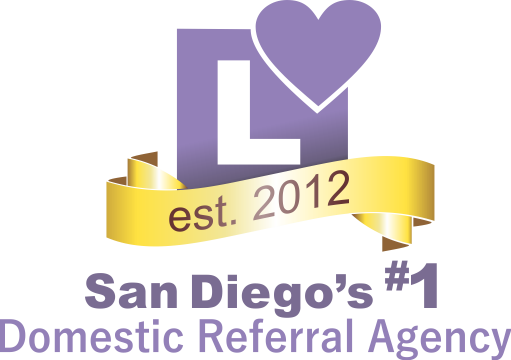 Will Co-founded Love Right Home Care Referral Agency™ with Wife Jessica Hawk in April of 2012. He began driven to create a platform for matching skilled private caregivers with Aging Adults in need of contracting Senior Care Services at an affordable price. 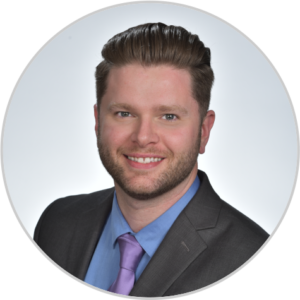 Will utilizes his previous entrepreneurial experience in Home Care, Branding, Promotions and web development to propel the Love Right™ philosophy and brand image. Loves: Will loves the Arts (painting, sculpting, drawing), traveling to visit his family living in various states across the US, singing, playing instruments, woodworking, cooking and brewing beer. Favorite places: Meditation Gardens in Encinitas, Big Sur and sunsets on his deck. Jessica started caregiving at the age of 14. Through family experiences and loss she decided to pursue a nursing license and quickly became an LVN. She completed her schooling in 2007 and started working as a nurse in 2008. Her wide range of nursing experience led her to start managing care for the elderly. In honor of her grandmother, she led the ground floor project of starting Love Right’s brilliant business model. 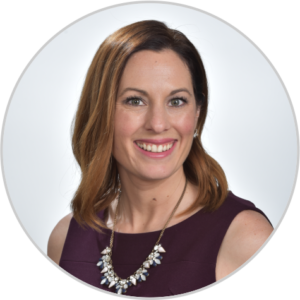 Jessica Co-founded Love Right Home Care Referral Agency™ with Husband Will Hawk, III in April of 2012. She began by developing the systems and protocols that would be used to find and register the most qualified independent caregivers, called CAREGuard™, in addition our vetting and client intake process CAREConsult™. Jessica is intelligent, resourceful, and a bright and shining example of the style and Love required to make the Home Care Experience what it should be. As acting Director of Care Services, she meets directly with families and helps them in the process of finding the best Independent caregiver matches. Loves: Helping people, Art, Travelling, Reading great books, nature, experiencing new things and anything having to do with Animals. Favorite places: Big Sur, CA, San Juan Islands, New York in the Fall. 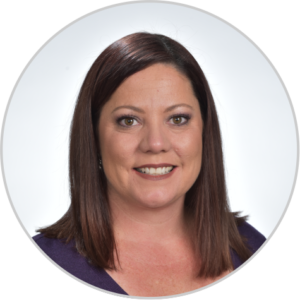 Shannon has worked in the medical field caring for others since 2002. She started her career off as a medical assistant, soon going to school to be a licensed X-Ray technician. 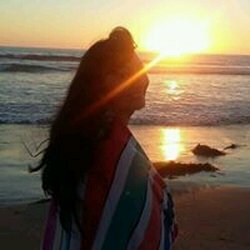 Shannon soon advanced to be an office manager and surgery scheduler for an Orthopedic Surgeon here in San Diego. She spent 13 years caring for patients, navigating their care needs, and preparing them for surgery. She is also proud to be the Affiliate chair for the San Diego Affiliate for The Pancreatic Cancer Action Network. Shannon started with Love Right in April of 2017 and quickly excelled at everything. 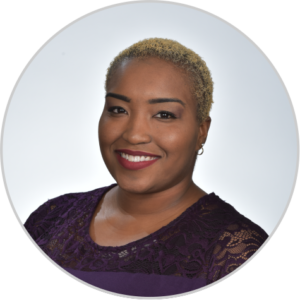 Starting as an executive assistant, she quickly cross-trained into the Referral Department, where she then excelled to become the primary Referral Specialist. We consider her a ‘Jill of all trades’ and every task put in front of her is passionately completed beyond expectation. She recently propelled herself into the Office Manager position and has successfully assisted in: training program design and implementation, Human Resource protocol and CAREGuard™ testing standards as well as running the office like a well oiled machine. We know we’ll see more amazing growth from Shannon in the future. Loves: Camping, cuddling her puppies, and spending time with her husband, friends, and family. She is passionate about the fight to wage hope and demand better for Pancreatic Cancer. Favorite places: Any where with a great camp ground, Washington where her son and grand babies are, and anywhere tropical. 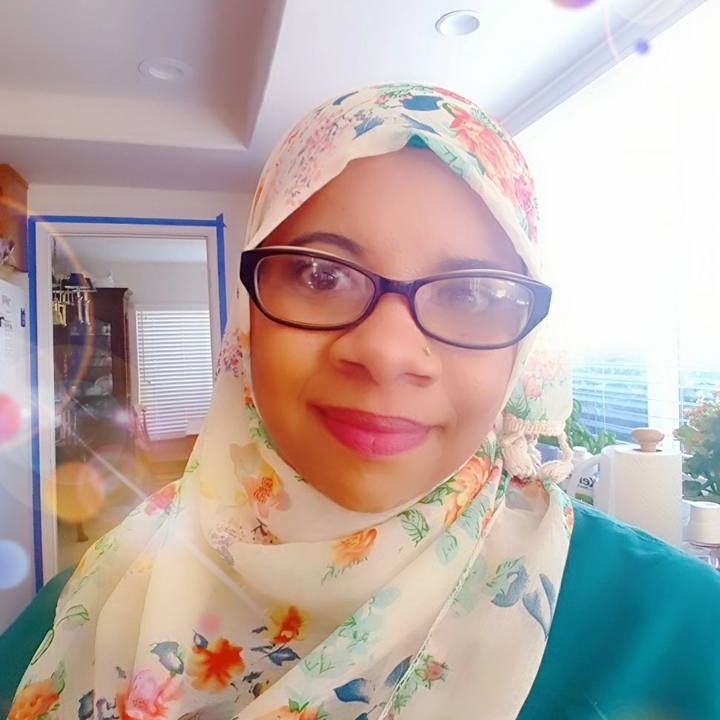 Breanna Joined the Love Right™ Team in early 2018 as an entry level administrative assistant. This is a new experience for her to work on this side of the care industry. Professionally, her experience has been mostly in Childcare. Predominately working with children from all ages, ranging from infants to teen. In addition to working with children, she has a passion for working with those with a physical, emotional, and/or a mental disability. She was a caregiver for some very challenging people which taught her patience, understanding disease processes and caregiver perspective. She says she’s made some of the best friends through these caring relationships. Breanna is a breath of fresh air, bringing joy and laughter into everyone’s life she encounters. If she misses a day at the office, things just aren’t the same. Loves: Helping people, modeling, singing, family, hugs. 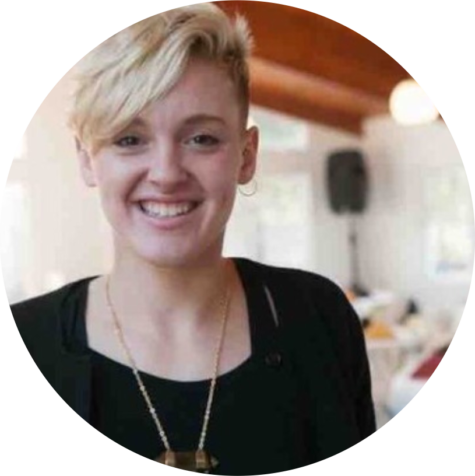 Claire joined the Love Right Team in mid 2018 as an experienced Recruiter. She has always been a ‘people person’, shining as a server and manager in the restaurant industry for about 10 years. Now, she has combined her passion for people and a particular love for the elderly into a career of seeking out skilled and compassionate caregivers. Claire loves getting to know people on a personal level- what brings them joy and where they’d like to grow. She loves adventure and faces new challenges with enthusiasm and optimism. Claire brings an elevated level of expertise to the Love Right™ Recruiting / Registration Department. Her unwavering work ethic and approachable personality makes her the right choice to interview and hand-pick hundreds of caregivers to refer to local families. Her gusto is infectious, and it drives our team to develop better protocols and organization day to day. Both owners and co-founders, Will and Jessica Hawk, have 18 years combined professional caregiving experience. Before they took on careers as caregivers, they both found their passion caring for their own families. Love Right began as a life-mission for founders Will and Jessica Hawk, who both learned early on the importance of caring for loved ones. Jessica was born in La Mesa, California in 1985, the first and only child to her parents. Her Mom had quite an eye for wedding photography. While working at a local photo lab, she simultaneously started her own wedding photography business. This was a major influence on 7-year-old Jessica, as she watched her Mom build a successful business before her glowing eyes. She fondly recalls trips to Big Sur to help her Mom with a photo shoot, answering her business phone, completing photo books and many other tasks in running a photo business. She and her mom were side by side during the 10 years she ran the business and she learned she’d need to work extremely hard to achieve her future successes. She’s always used her mom as an example of hard work and perseverance. A great mentor for a future entrepreneur. Jessica remembers living in a senior community with her Mom from ages 3 to 14. Inspired by her Mother’s self-drive and motivation, she would regularly gather friends to scout her neighborhood for willing clients in need of a sweep. She describes sweeping patios, pulling weeds, doing various yard chores and rolling trash to the curb. At Just $1.00 per driveway, she was determined to clean up the community. This also became her primary social activity, spending time with her senior neighbors/clients/friends. She knew all the neighbors by name and was not shy to ask them whatever came to mind. “One neighbor comes to mind, Trixie, she was my absolute favorite. She’d give me odd jobs, she’d pay me in change, stories and lessons – we’d talk about respect and compassion towards adults, mostly. She helped me understand there was a lot to learn from my grandparent’s generation, and it’s a lot of wisdom that I still carry around today.” Jessica described. She always appreciated the wisdom and attention from older generations. Children her age were often spending time playing with other kids. She was instead developing a taste for music, arts, cultures and the benefit of good-manners and hard-work through these relationships. It was by age 14 she started working at a retail clothing store as a sales associate. She was ambitious and driven- juggling school, volleyball, swim meets, work, church and fun. She was young for being so well-rounded and responsible. Her work ethic and thirst for wisdom and experience would prove to take her far. It was at that same age she experienced her beloved grandmother diagnosed with a brain tumor the size of a grapefruit. Following the removal of the tumor, her grandmother was left incapacitated and had to re-learn how to walk, talk, eat, dress and all the other daily activities of living. Jessica continued to care for her grandmother through high school, and that experience helped shape her future career. She explained, “Seeing how much my grandmother depended on her nurses and how much she appreciated them, made me want to become a nurse.” She decided she would take her future into her own hands and work to put herself through nursing school. At age 17 she started working as a server in a local restaurant. She was able to utilize the same charm that convinced her neighbors to pay for her sweeping services, to deliver precise and jovial service to strangers. Serving tables became her livelihood, she was great at it, and it was lucrative. She immediately fit in and excelled as a trainer at most positions. She became well versed in the industry, new cuisines and hospitality, expanding her curiosity and expertise. She lived a very independent lifestyle, motivated to make a difference and make others happy. Will was born in Central New York in 1984, the second of seven children to his mother and eighth of ten children to his father. While his mother had her hands full with children, his father worked full time as an electronics engineer. After massive layoffs, he struggled to find consistent work throughout parts of his childhood. It was expressly humble beginnings for Will and his siblings in rural, “Dairy farm country” New York. His Mom and Dad split in the late 80’s, leaving him traveling between two homes. Will and his three brothers would visit his Dad on the weekends for most of their childhood. At a young age, Will and his siblings displayed a great interest in art. His Dad saw this as an opportunity to bond and taught them how to draw and create what was in their imaginations. Will remembers lessons on shading and facial features, landscapes and barns as young as 5 years old. They were always drawing characters from their thoughts, and books and anything of interest. By 7, Will and his brothers had developed skills beyond their ages. The attention they received in school would fuel their desire to become professional artists instead of the typical ‘firefighters or astronauts’. It also became their escape from the turmoil of a broken home. By age 10, Will’s father fell very ill and became dependent on his young children to care for him. They learned to manage a household (cooking, cleaning, laundry, gardening, etc.) and provide personal care as he couldn’t do much on his own. These were skills that would prove necessary for the impressionable youth. Will started working at age 11. He noticed his family struggling to make ends meet and, in an attempt, to ease the burden, he would start providing for himself. He started part-time as a dishwasher in a nearby restaurant on the weekends. By age 12 he was promoted to an assistant cook, by 14 he was managing the main kitchen operations and by 17 he was managing a team of 4 and running one of the busiest local restaurants in his town. He was a showman, a creator, and known to thousands of locals as the face of their favorite BBQ joint. His murals and logo design still grace the establishment’s surroundings. Throughout grades 5-12, Will won every art competition he entered. Some of the most prestigious were Scholastics Art Shows and the New York Duck Stamp Competition (winning various gold awards and ‘Best in Show’). He excelled in every direction he pursued artistically and academically. It was obvious he would do great things in the future. His portfolio and college applications were accepted at prestigious schools like Cornell University, Syracuse University, NYU, Pepperdine and various other State Schools. Although it is impressive, Will did not apply for the scholarships necessary to afford this caliber of schooling. He was working full time to support himself through High School, and after, decided to pursue 2 years at a State School before he left. He explained the classes as mediocre and unchallenged for his artistic skill level and decided to continue teaching himself and working. Will continued working in restaurants as a skilled chef from age 17-21. The kitchen brought him a level of challenge that inspired him. So much so he was compelled to start his own catering company. He was 21 years old and a one-man show to small parties and enormous 300-person weddings. He pursued this until he was approached with his next challenge. After 1 year of solo catering, he was offered a job entering the construction industry as an HVAC specialist for a large hotel project in Rancho Mirage, CA. It was an opportunity he couldn’t turn down. From 2006 to 2008 he started and completed this project and then the construction industry fell victim to the financial crisis and no longer had available work. He saw this as an opportunity to pursue his dreams. By age 22 Jessica was working full time and finishing up nursing school. She was ready to follow her career where ever it would take her. She moved quickly into interviewing with nursing/elderly facilities. During this process, she recognized a trend that was disheartening. These nurses were spread so thin that they hated their jobs, sometimes 1 nurse to 42 patients. This was not the gleeful side of nursing these companies portrayed during the school career fairs. “One nurse I interviewed with flat-out said that they just rotate new talent from the Philippines every month. That place saw hundreds of nurses turn over without blinking, how could the quality be maintained?” Her expression showing increasing concern. She was passionate about avoiding these places. Jessica found the perfect job at a La Jolla Dermatology practice. It was the perfect balance of patient relations, learning and applying new skills, witnessing and assisting in skin surgeries, being mentored by San Diego’s foremost Dermatologists and working with like-minded nurses on a similar career path. Her four years there would be a priceless addition to her knowledge base, work organization and structure in the medical field. 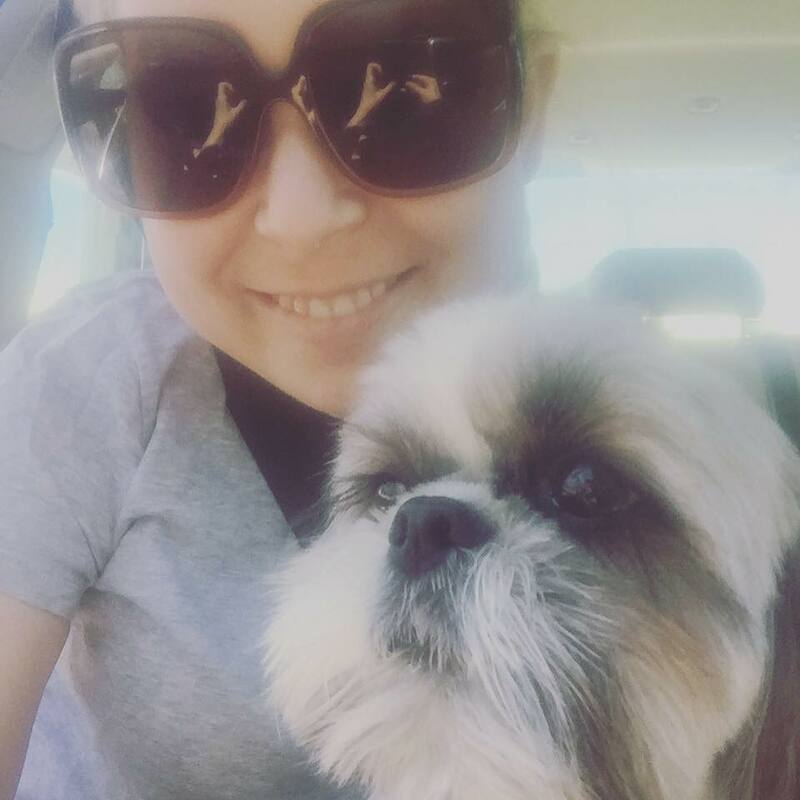 “I wasn’t just working in dermatology, I also had a responsibility to my best friend who was suffering from Cystic Fibrosis (a terrible lung disease that starts at birth and causes the production of abnormally thick mucus, leading to the blockage of the pancreatic ducts, intestines, and bronchi and often resulting in respiratory infection.) The average person with the disease will live to 37 years old. I would work all day and care for her in the evenings, usually sleeping over to make sure she had everything she needed.” She shared, with defeat, as she since lost her friend to the disease. “I learned more from my friend’s life with a chronic lung disease than any other form of education. We were in the ER weekly, discussing lab results, consulting with leading physicians, and focusing on ways to elevate her quality of life.” Her friend was the recipient of 2 lung transplants, so she had a very skilled team of doctors analyzing her regularly. It was a wealth of knowledge for Jessica. It was also a heart-breaking road she was traveling watching her best friend slowly lose the ability to breathe on her own. Her second transplant lasted for a few years before rejection started. Before her friend passed on, Jessica had the opportunity to share a dream with her then ‘friend’ and began planning their own business together. 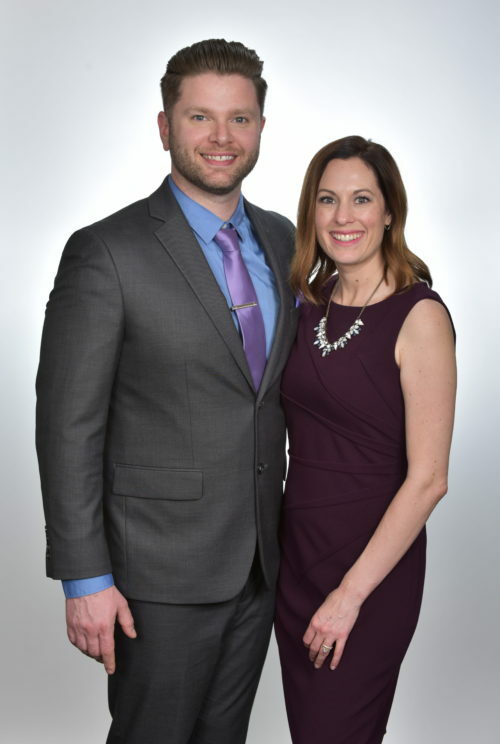 They were both on similar career paths when they re-connected, Jessica and Will developed a plan that would propel them into the promising industry of Senior Care. It was 2011 when the planning started on organizing a unique non-medical home care model. Love Right was promising to be just what the community needed before it started. Building the culture around family, Love and matching care specific to each individual family based on their own personal needs and search criteria. By April 2012, they were ready to open the doors. Will immediately started planning another business. Now at age 23, he began a clothing design company. Building custom t-shirts with heat pressed images. He would tour the local street fair circuit and build successful B2B relationships with the area’s largest companies. Knott’s Soak City, Alzheimer’s Association, Conserve Landscaping, City of Palm Springs, just to name a few. This business quickly took off and morphed into offering graphic design services, business marketing, online marketing and customized products for business promotions. He built this business while simultaneously providing direct 24/7 care to a family friend who suffered from stage 4 Alzheimer’s. “the first 6 months were a bit crazy,” recalls Will. Will’s connection with his Alzheimer’s patient was unlike anything he could’ve imagined. “When he first came to me, his life was looking quite dismal. He’d been under Hospice Care for a few months and he was steadily declining. He wasn’t speaking or eating much, they’d given him only a few months to live.” Will shared. “It was the first couple of weeks getting acclimated to each other that was the most frustrating. He had some aggressive behaviors with strangers, so I became the focus of his negative energy. I was patient and compassionate to this part of the disease process, I hung in there even though it was very taxing. It was during this period that he started to regain his appetite. Within 1 month he had gained 7 pounds and began to speak again. He was also showing interest in getting out of his hospital bed (something he hadn’t done in months). I was amazed and exhausted.” He expressed. Will had no clue the impact this man would have on his life and the life of thousands of families. Nothing would prepare Will for what he witnessed upon his return. He wasn’t the same man. He was unconscious, ten pounds lighter, smelled of urine, his adult briefs were on backwards, he wasn’t communicating or walking or eating. Hospice was immediately brought back on, and things were looking grim. The Love that Will poured into this relationship was aggressively drained and replaced with sorrow and disgust. Particularly disgust with a care system that failed a man Will felt undoubtedly responsible for. He thought it was his very absence to blame for his decline. He took it even harder when the gentleman passed away about a week later. “He easily had another 5 years to enjoy life, I felt like I had chosen his fate. It wasn’t until future visits with his children that I would be convinced it wasn’t my fault. They praised me for what was accomplished in a short amount of time, while I stewed in anger and regret. My bond was amazing with this man. Did he think I gave up on him?” He said while holding back emotion. He used this white-hot energy to fuel a new passion. His friend’s struggle revealed the strength of family and the importance of helping them age at home and not in the care of a facility. Will could not imagine his family falling victim in the same cruel fashion. He started his first agency. 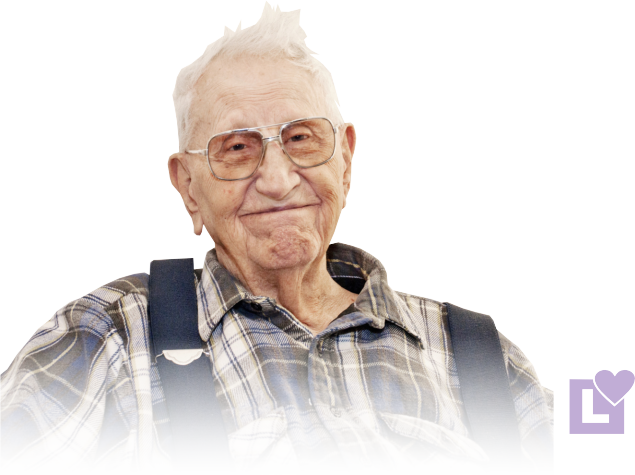 He was compelled to keep seniors in their homes with help from like-minded caregivers. His passion exploded with an essence of accumulated tragedy. 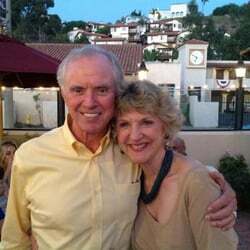 He managed both businesses for a while before his imprint business morphed into the business development section of his new senior care company. He built the self-funded start-up by designing all the branding in-house, designing the website and marketing strategy, building comprehensive operations manuals, interviewing caregiver to add to the pool, scheduling, maintaining office tasks and much more. He trained the team that would take over operations after a few months. In one year he was able to sign on and staff over 200 long and short-term clients. He decided to sell this Coachella Valley business to pursue a better caregiving business model in a more desirable climate, San Diego. Prior to starting Love Right™, Will consulted with an old friend whom he reconnected with after several years, Jessica. He learned that she was a nurse and a caregiver to a close friend in her off time. Together they planned a unique model for delivering care through a platform where families and Caregivers could meet, negotiate; tasks, schedules and rates, and work together while minimizing the care cost that were skyrocketing with traditional Home Care organizations. It was very humble beginnings. Starting with 2 small desks, 1 computer, 1 phone and a printer in a shared office space. They focused on keeping the overhead as low as possible to transfer the savings to the client. They knew just a few people in the industry in San Diego, starting with a clean slate and a lot of optimism. Needless to say, Love Right and its philosophies have since thrived. “By ignoring the ridicule and opinions of doubters, we have become a name synonymous with true compassion and care. Word of mouth has been the greatest asset, just check out the online reviews. We’ve kept quality and high expectations at the forefront and always will. Your trust is very important to our success. Have a look into the thoughts of real people that have the joy of finding Caregiver Matches through Love Right. Read what people are saying to help you decide if it’s right for you and your family.